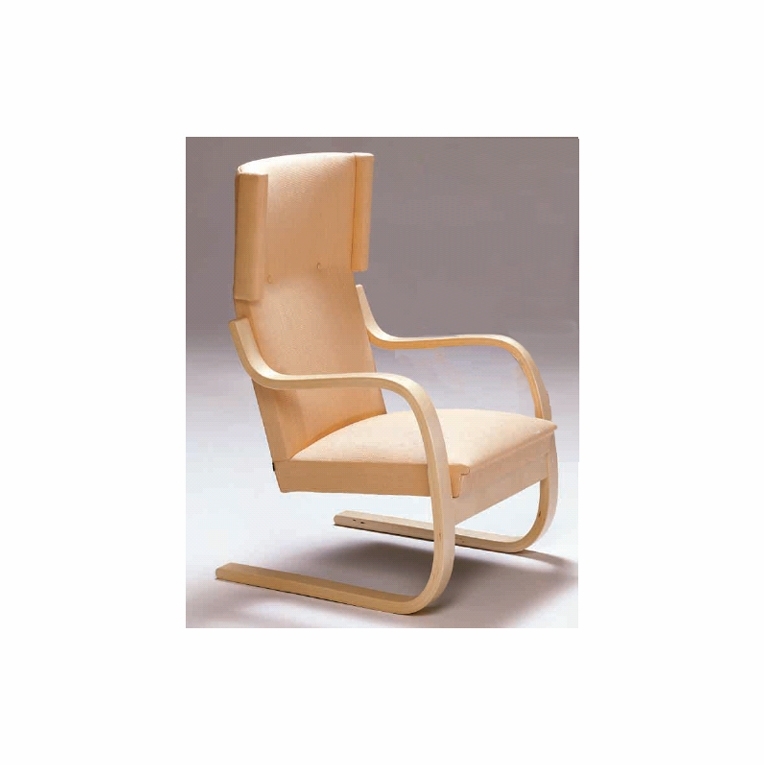 The Aalto Model 401 armchair was first designed by Alvar Aalto in 1932. After the success of armchair 402, Aalto recreated the familiar cantilevered shape to produce its high-backed cousin. Upholstered in your choice of fabric, the back of the 401 armchair is slightly tilted to provide adequate support for your head and neck. Slender side panels near the head promote relaxation by slightly minimizing peripheral distractions. Made in Finland by Artek. Ships assembled. Pictured in zebra fabric.Please review our Shipping Information page before ordering. Payment: 50% will be charged at time of order, remainder will be charged at time of shipment.